To provide a complete tennis experience at an affordable cost to the community. In so doing, the club must support the continued development of tennis for all levels of play in both social and competitive playing environments. A first-class clubhouse that the membership can be proud of to "call their own"
Harry was ranked 10 in Ontario U18 at the age of 17 and as high as 3 in the open division in Ontario through out the 70′s. Won the over 35 National singles and doubles in 1983, National O35 indoors singles in 1984 and the over 45 Eastern indoors in 1993. CTA Level III Professional with over 46 years of full time teaching and 58 playing experience. 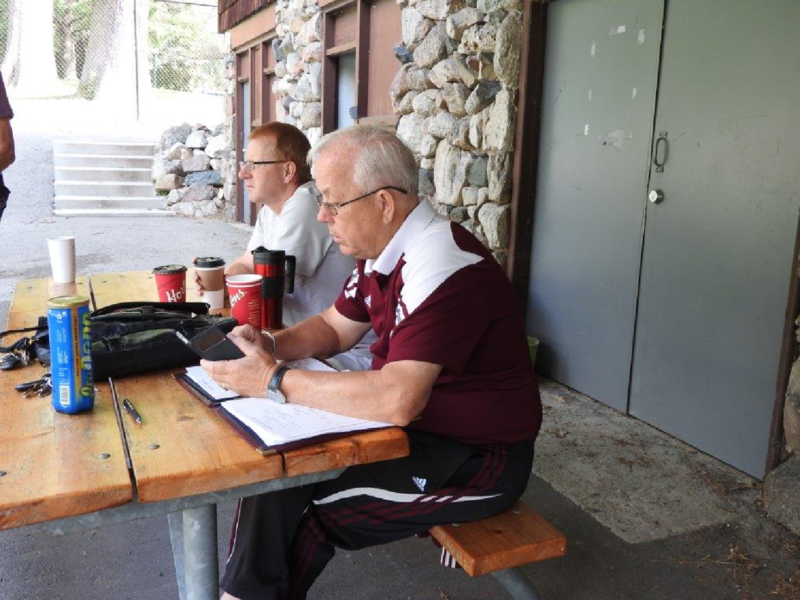 Member of Ontario’s Coaching and Instructor Development committee for over 25 years. Head Course Conductor for O.T. A. and C. T. A. Instructor Certification Programs 1974 – 2001. Chairman of the Professionals committee and Vice President of the OTA for many years. Director of Courtside Tennis Academy Junior Development Programs, which have produced World, National and Provincially ranked players. 2010 Cambridge “Sports Contributor of the Year”. 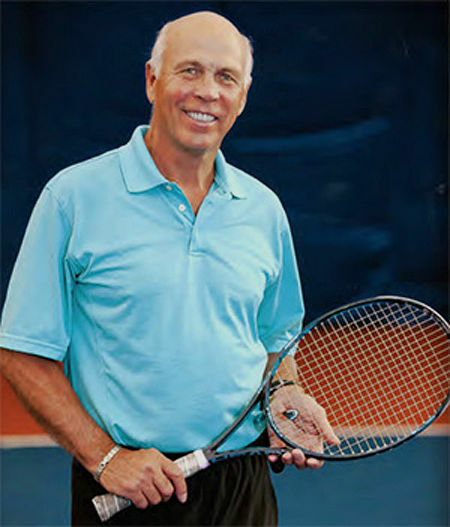 2011 Tennis Canada “Coach of the Year”. 2012 received Tennis Canada’s “Distinguished Service Award”. 2013 Inducted into Cambridge Sports Hall of Fame. 2017 inducted into Waterloo Region Hall of Fame. 1. Victoria Park Tennis Club members will receive preference over non-members. Shoe tags must be visible. 2. Leagues, tournaments, inter-urban matches, and lessons will take precedence over public play. 3. With our increasing membership there have been times when all the courts are busy. Our regularly scheduled programs take priority. 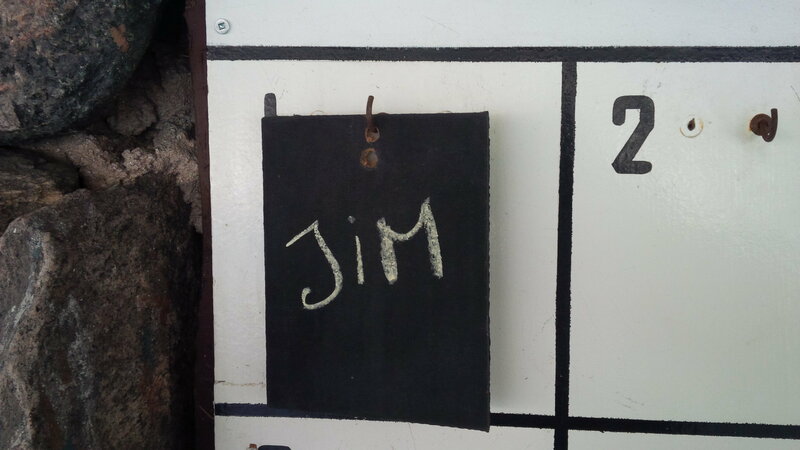 For non-programmed times use the reservation board at the clubhouse. The rules for the board are posted alongside. 4. Mornings from 8:30 to 11:00 am and Monday thru Thursday evenings from 5:00 to 9:00pm are designated as members only. Guests are not permitted at these times. 5. You must wear appropriate attire on court. Shirts must be worn, non-marking shoes only and no cut-offs or jeans. 6. Non-tennis related activities (skateboarding, hockey, etc) are not permitted on the courts or inside the fenced area around the courts. 7. Shouting, swearing, and heckling will not be tolerated. 8. Keep the gates closed at all times. 9. Remove your belongings when finished playing. Garbage and recycling bins are located near the clubhouse. 10. If you are the last players, turn off the lights and make sure the clubhouse and gates are locked before leaving. 11. Members are welcome to bring a guest during non-peak times. A cost of $10.00 per hour will apply. Payment can be dropped into the mail slot at the club. It is the responsibility of the member to ensure the guest fee is collected. 12. Smoking is not permitted anywhere on club property. 13. The clubhouse will be used by members only. A swipe card system is activated for easy access. Non-members can rent the clubhouse by appointment only. Contact the club for more details. The court waiting board is so that players waiting will know what the next vacant court will be. All players must sign-up with the time they go on the court. When courts are full players must vacate the courts, provided they have played for 45 minutes. Players must have been waiting 30 minutes before asking the players that started first to vacate. If you do not put a tag up with your start time you will be the first to be asked to vacate the courts. 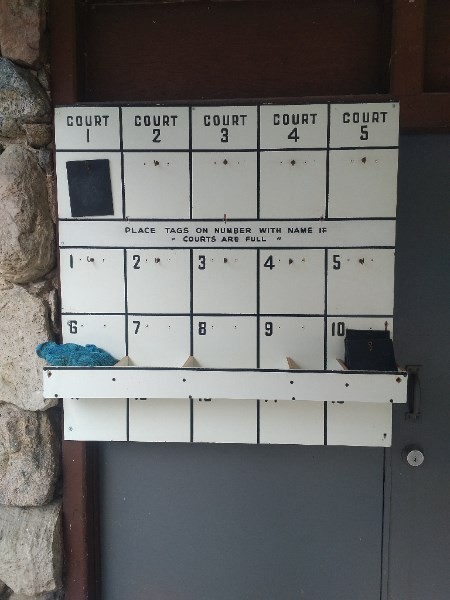 Before you occupy a tennis court, write down your name and the start time on a black card and hang it on the hook which corresponds to the court number on the first row of the board. 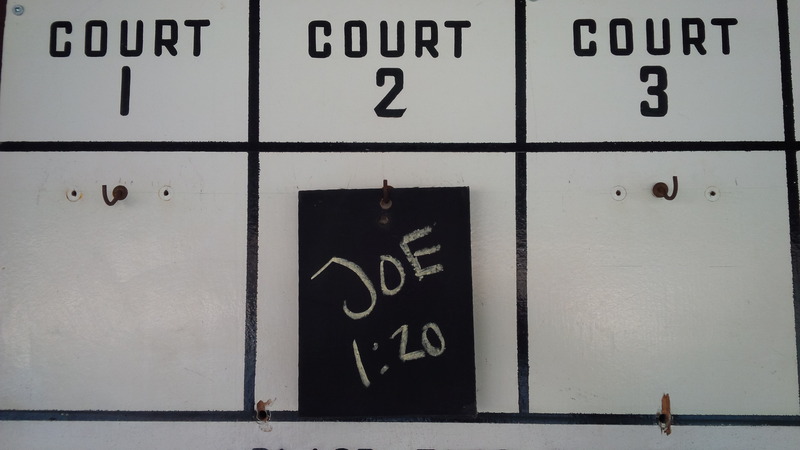 When your turn comes to enter the court, please write down the start time next to the name on the black card and move the card to the hook which corresponds to the court number on the first row of the board. When finishied playing, please take your card off the hook, wipe the chalk off with the cloth provided, and place the clean card back on the shelf at the bottom of the board. Please note, VPTC regularly scheduled programs which are listed on the online calendar take priority over non-programmed activities. A yellow card placed on a hook on the first row of the board indicates a scheduled program is in progress on that court. John has been teaching full time for over 20 years and brings his extensive experience and knowledge of the game to our club. John was provincially and nationally ranked in over 35 singles and doubles games and represented the nation at The World Father and Son Championships, 1988, 1989, 1991 and 1992.